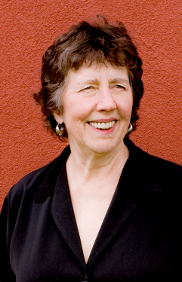 Joan Tower is widely regarded as one of the most important American composers living today. During a career spanning more than fifty years, she has made lasting contributions to musical life in the United States as composer, performer, conductor, and educator. Her works have been commissioned by major ensembles, soloists, and orchestras, including the Emerson, Tokyo, and Muir quartets; soloists Evelyn Glennie, Carol Wincenc, David Shifrin, Paul Neubauer, and John Browning; and the orchestras of Chicago, New York, St. Louis, Pittsburgh, Baltimore, Nashville, Albany NY, and Washington DC among others. Tower is the first composer chosen for a Ford Made in America consortium commission of sixty-five orchestras. Leonard Slatkin and the Nashville Symphony recorded Made in America in 2008 (along with Tambor and Concerto for Orchestra). The album collected three Grammy awards: Best Contemporary Classical Composition, Best Classical Album, and Best Orchestral Performance. Nashville’s latest all-Tower recording includes Stroke, which received a 2016 Grammy nomination for Best Contemporary Classical Composition. In 1990 she became the first woman to win the prestigious Grawemeyer Award for Silver Ladders, a piece she wrote for the St. Louis Symphony where she was Composer-in-Residence from 1985-88. Other residencies with orchestras include a 10-year residency with the Orchestra of St. Luke's (1997-2007) and the Pittsburgh Symphony (2010-11). She was the Albany Symphony’s Mentor Composer partner in the 2013-14 season. Tower was cofounder and pianist for the Naumburg Award winning Da Capo Chamber Players from 1970-85. She has received honorary doctorates from Smith College, the New England Conservatory, and Illinois State University. She is Asher Edelman Professor of Music at Bard College, where she has taught since 1972.